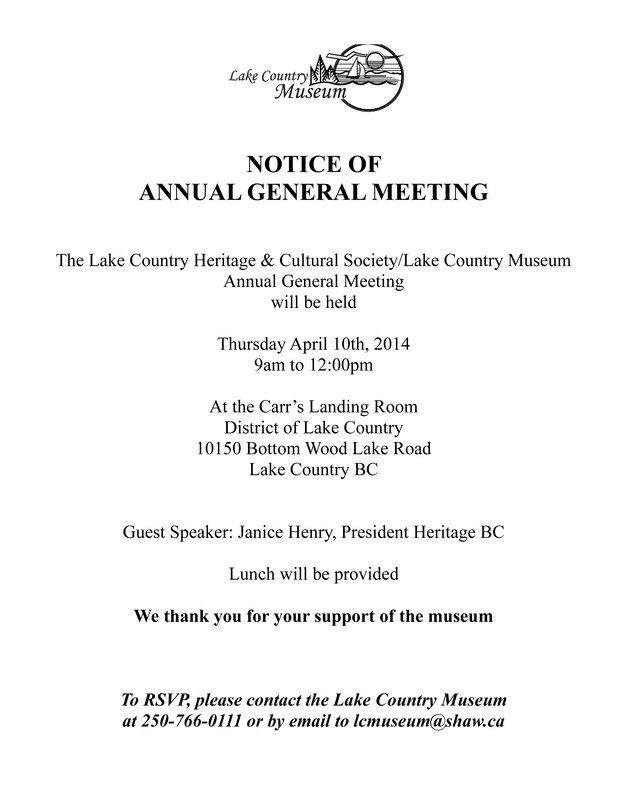 Tomorrow, Thursday, April 10th, 2014, is the Annual General Meeting of the Lake Country Heritage and Cultural Society. All are welcome and lunch will be provided. 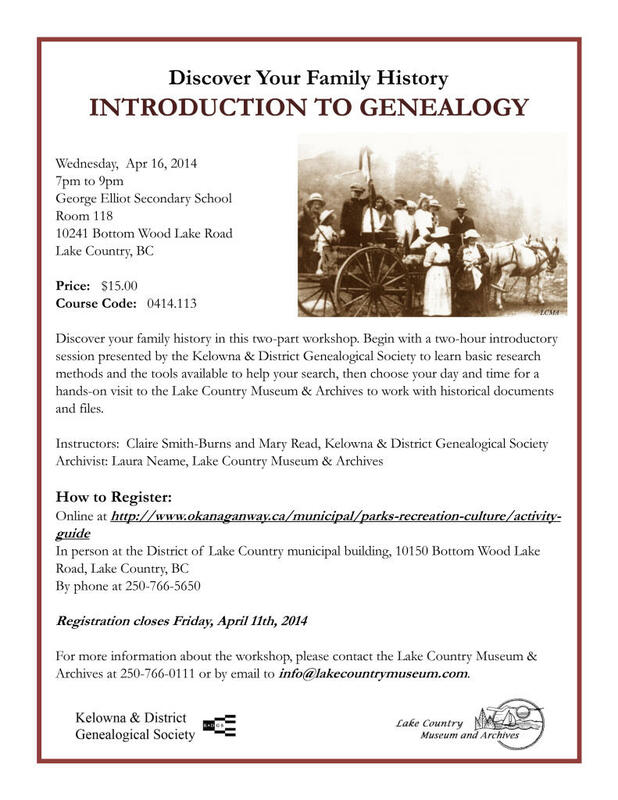 Also, the LHCS is sponsoring a Genealogy Workshop in conjunction with the Kelowna and District Genealogical Society. Information for both events are posted below.